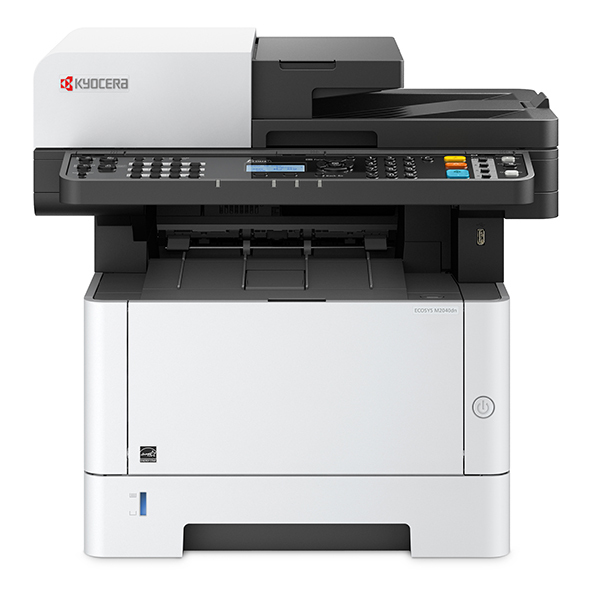 The ECOSYS M2040dn/L black and white multifunctional printer offers exceptional print quality and advanced features in a desktop device designed for the budget conscious business. Easy to use, its exceptional reliability, low TCO and ECOSYS long life consumables will ensure maximum uptime, while on-the-go printing and scanning capabilities will provide users with anytime, anywhere accessibility. With print speeds up to 42 ppm, advanced security features and convenient walk-up USB accessibility, the ECOSYS M2040dn/L can affordably take your business processes to the next level.